A Jello Parfait is always a huge hit for dessert at a party or pot luck. Why wouldn’t they be? Jello Parfait Cups are easy to make and taste so good. I have loved Peeps since I was little. When the family comes over, I like to have a cute Easter dessert that everyone can enjoy. 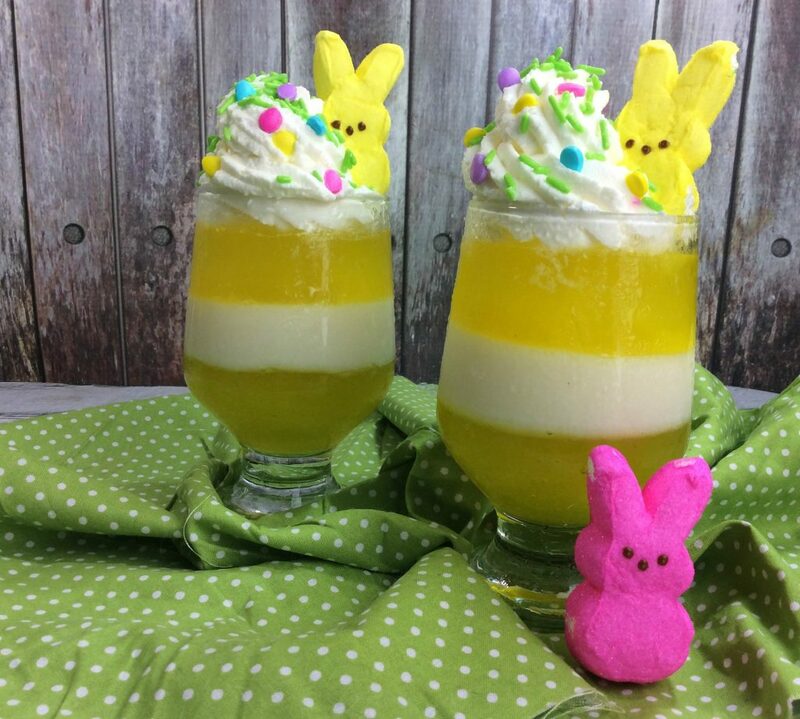 This is a simple Jello Easter Parfait dessert that just about everyone will love. 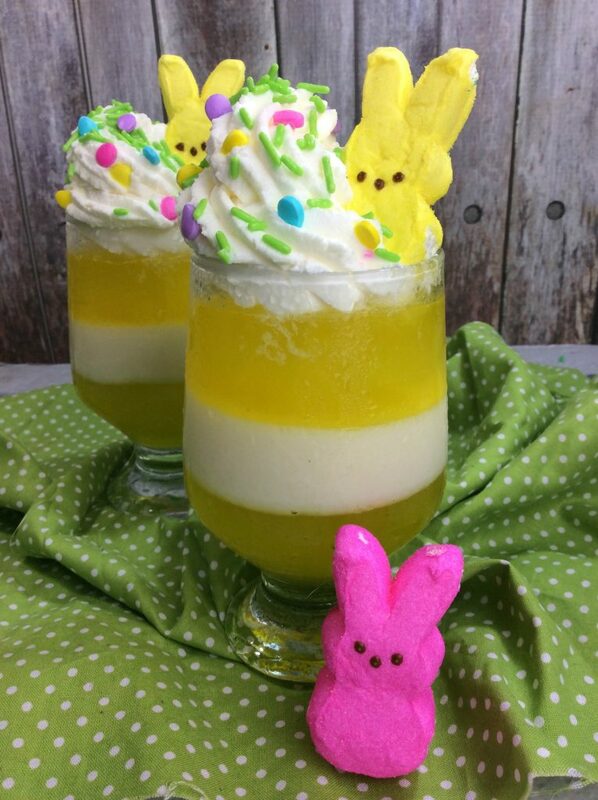 This Peep Parfait will be a hit. With one layer of Jello and the next layer of cream, this parfait is perfect. 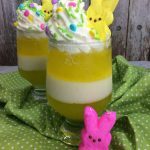 My favorite Peep Jello Parfait is perfect for Easter, but this is a jello dessert that you can enjoy anytime. While we used yellow Jello because it goes great with yellow Peeps, any flavor Jello will work fantastic. This Jello parfait dessert looks so pretty that it is nice to put them together in a pretty clear cup. I love these dessert glasses in general or if you would like a disposable type of cup, these mini dessert cups have a gorgeous tilted edge. Make Jello according to the directions on the box. Top each Jello cup with a dollop of cool whip, yellow peep and sprinkles.